I got an offer for a brand new unit here in the Philippines for 10, 200 pesoses. I'll be primarily using this at church direct to PA (a very old Fender Passport 250 system). The unit feels sturdy. The footswitches seem heavy duty. Although, it may take some getting-used to for the 3 unusually-shaped switches below the main 3. The amp sims and cabs are good to my ears both on the PA and the amps. The manual said to turn the "MIC" on the cab sims off when connecting to PA's or consoles but even if we have a worn out PA, it still sounds decent either way. I was apprehensive that they removed the XLR out, but even with a long cable run, I didn't notice signal loss. Maybe it has some impedence matching built in? Zoom really took some time to study / implement how certain pedals work depending on the order in the chain. E.g. The difference between placing a volume pedal at the start of the chain and somewhere else along the chain. Same with the placements of reverbs, delays, comps etc. Not that I'll be likely to use the looper in church, but the looper for me is almost useless. It's treated like an effect and it takes up an effect slot (per patch). It's not global. Plus, if you switch to another patch, the loop stops . Also, I cried when I played a recorded loop and then turned on another effect within a patch (or if you're in stompbox mode), the newly-turned on effect "affected" the recorded loop. ! E.g. You recorded using only the acoustic guitar effect, then played the loop, then turned on your delay/reverb, the delay/reverb is applied to the currently playing loop. Remember the you can switch to note-style + using the tap tempo instead of setting the "numeric" time above? Well, the sensitivity of the Time knob on the delays is so low, that you're likely to spend literally a minute or two turning it to the max value in order to switch to note-style. If anyone knows how of another way, please do tell. Will I recommend it to a friend? Likely but again, it depends on what that friend intends to use it for. Did I get the most bang for my buck? Yes. That's all for now. I'll post more after a spend more time on the unit. I think you need to put the looper at the very end of the signal chain so solve this. 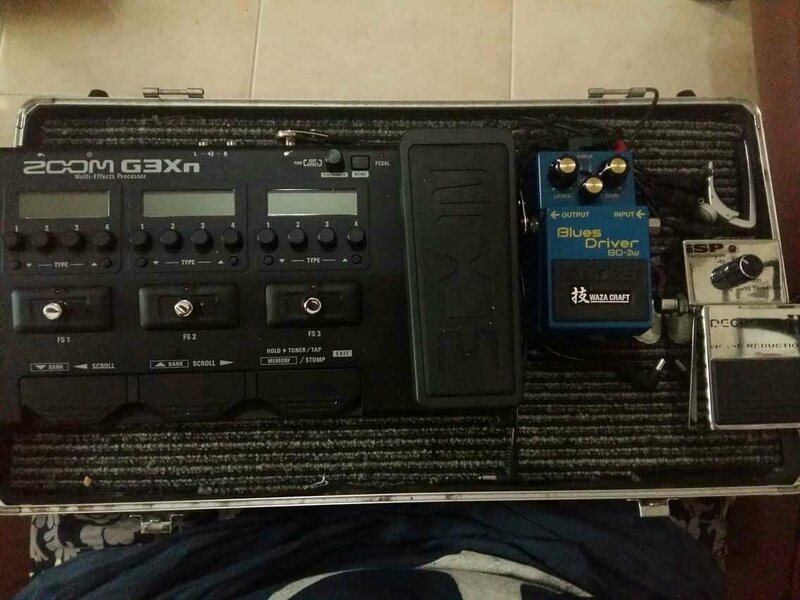 I was fed up with lugging a pedalboard, so bought one at JB for 11,800 petots. Remember: The flow of the effects is from left to right. They ARE Japanese, after all. 1. Three screen scroll tip: "surf" along the active patch, as you press scroll up/scroll down, create patches on right location to activate the patch you want (example: change from patch 1 bank 1 to patch 1 bank 2 by using scroll up). 3. I have observed they put ZNR (Zoom Noise Reduction) in between Amp models and Cabinet models, and also the manual says tum cab "mic" on when using using headphones/monitors, the sound changes but i cannot discern a real, predictable and useful effect though, use your ears, yours might be better than mine. 4. Scroll between effects types on a patch by pressing on one type button and pressing the other. Says so in the manual. Took me a week to find out hehe. 5. Master level is way too loud, start on low volume as you might damage your ear or worse your speakers, you'll get by around 20-30. 6. Put a small patch of rubber below the wah pedal, as you cannot activate the button below your pedal at will if you do not do so. I used an old TC Electronic rubber foot, used super glue, retained (fixed tightly) the 2 square rubbers on both sides to act as cushion and not damage the teenie weeny button. If you do not do so youll have to always activate your pedal by going from memory mode to pedalboard mode. 7. Watch your DSP, you have to make a few patches, coz DSP on this line is limited. I imagine G5ns user do not have a great advantage since even they will have extra slots (9 instead of only 7 on g3xn) extra ;window" the DSP limit is the same on this batch, which is LIMITED. Maybe they can compress their data on future software upgrades? Probably not. 8. Update you list of effects using the software from Zooms Website. Haven used the custom patches though. Maybe I'd try it next week. Gigged it, so far, it is great. Love the EP Boost, The Goldrive (Klon? ), The Matchless Amp, Fender Twin and the trippy modulations. 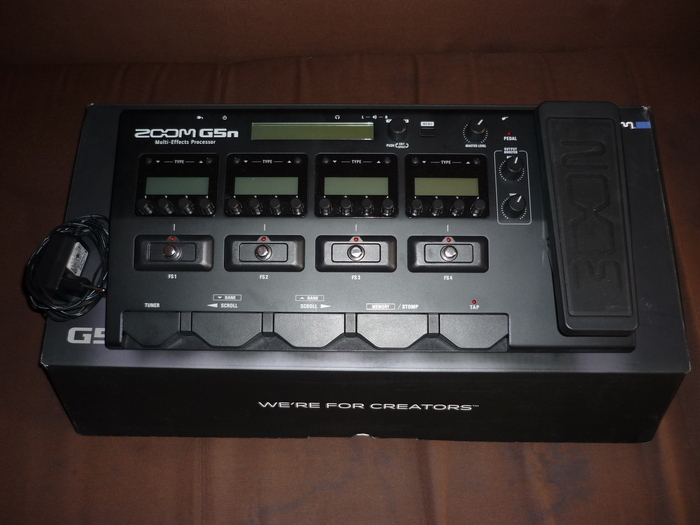 I'm back to zoom, my first was a GFX3 but has gone analog after. But now man the tech sure has developed. 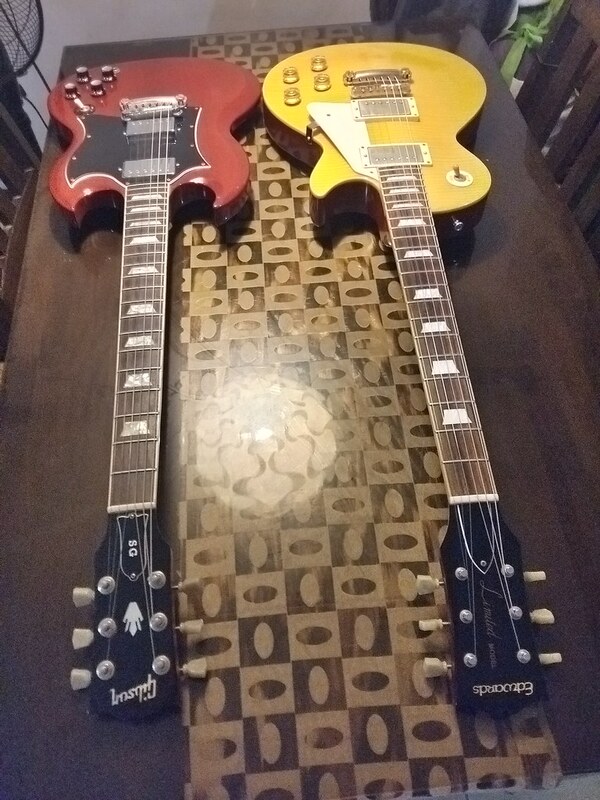 Do i dare say its is really warm, just try two Gold drives pushing a macthless witha little trem or a vibe..Astig! Post you own tips! Share your knowledge dudes! Thanks for the tips sir! mga sir kumusta firmware update ng g3xn? yung looper ba naka global na? or ganun pa din pag nag palit ng patch nag ooff? actually planning to buy this unit later, concern lang ako masyado sa looper. ginagamit ko kasi yun pag live. salamat po. Looper is still not global. Effect lang talaga siya. Pati Drums effect din. upgraded my g3xn to 1.1, but i am gassing for that g5n. i haven't used looper so i can't tell. Bad Behavior has blocked 84545 access attempts in the last 7 days. Page created in 0.179 seconds with 25 queries.